The official website quotes “summit elevation” 1068m, this is the summit height of Glas Maol. 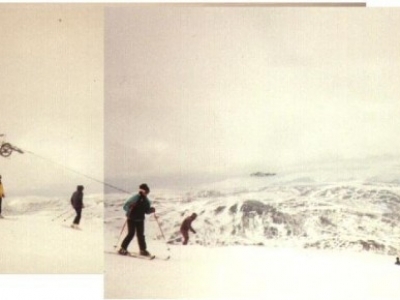 The lift does not go to the summit, the height quoted here is the top of the lift. The official website quotes 457m. 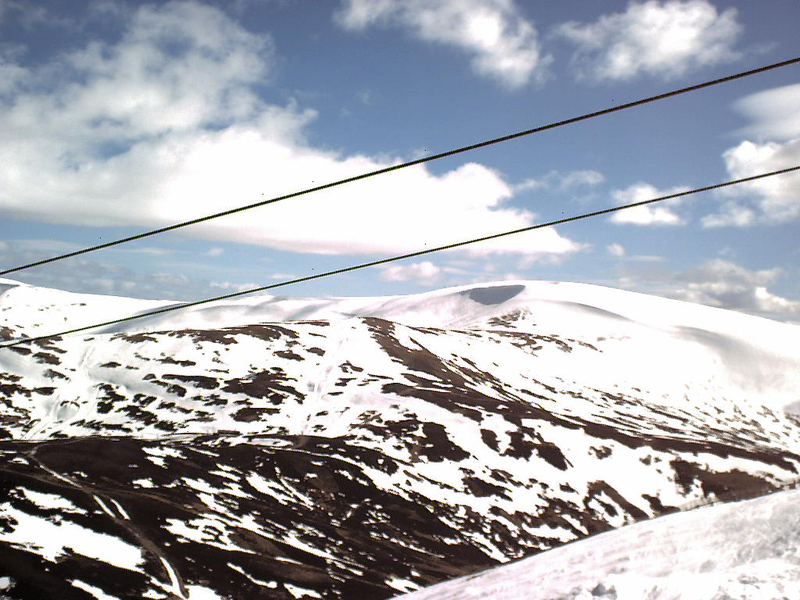 I have no idea how they came to this figure, the maximum skiable lift served vertical is 301m on the Glas Maol poma. 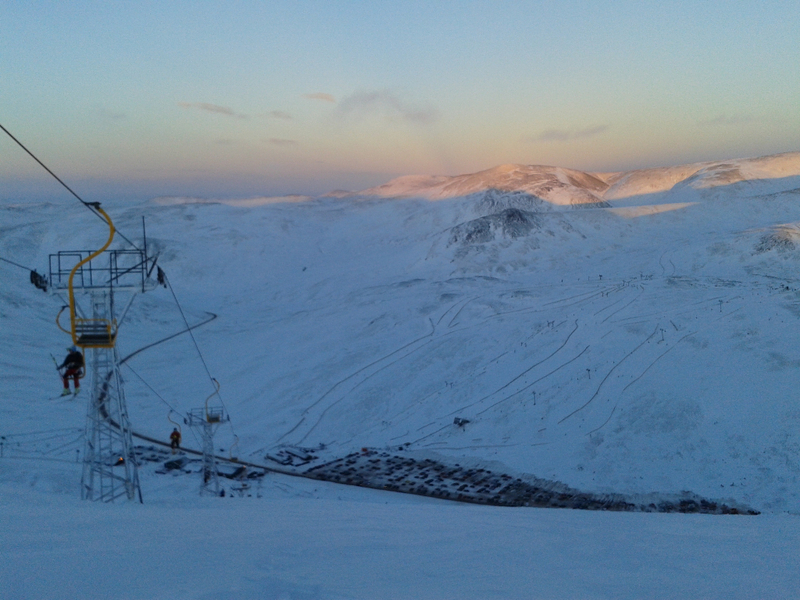 Officially there are 4 T-Bars, since the Meall Odhar T-Bar is still on the snow report, but this lift was dismantled during the summer of 2014. However, the rope tow (next to the Dink Dink) has never been officially listed, so there are still 22 lifts if this is counted. Glenshee is really two separate ski areas, facing each other across a high pass. 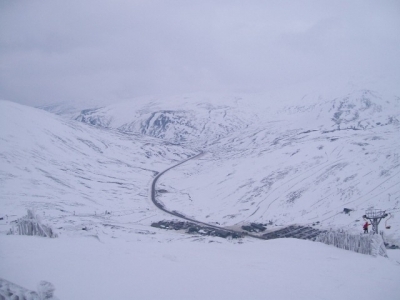 The area comprises of 4 main mountains located in 3 valleys, though the centre valley is much smaller. There is no lift or skiable link between the two sectors, but it is only a very short walk across the car park, so this is not a problem. 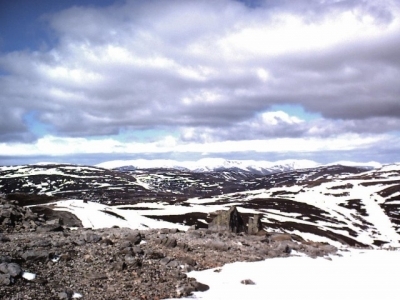 The western sector comprises is a large bowl, formed by two mountains, the Cairnwell (933m) and Carn Aosda (917m). 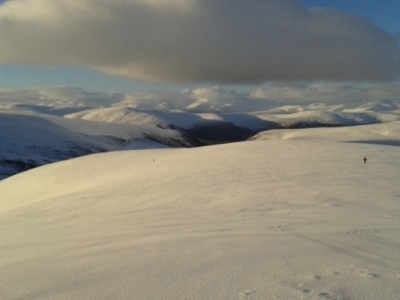 Beginners will enjoy the gentle green run from Carn Aosda down through Bucharts Corrie, progressing onto the blues down the face of Carn Aosda. More advanced skiers will want to head for the Tiger (Black) and Thunderbowl (Red) runs which are quite challenging. 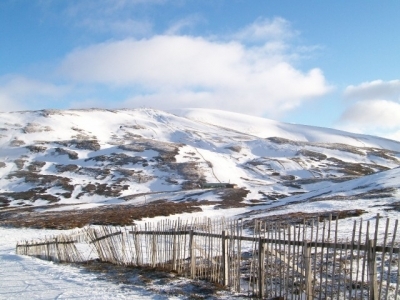 The Carn Aosda runs are south facing, but the snow holding is still good, because it is often in the shadow of the Cairnwell. 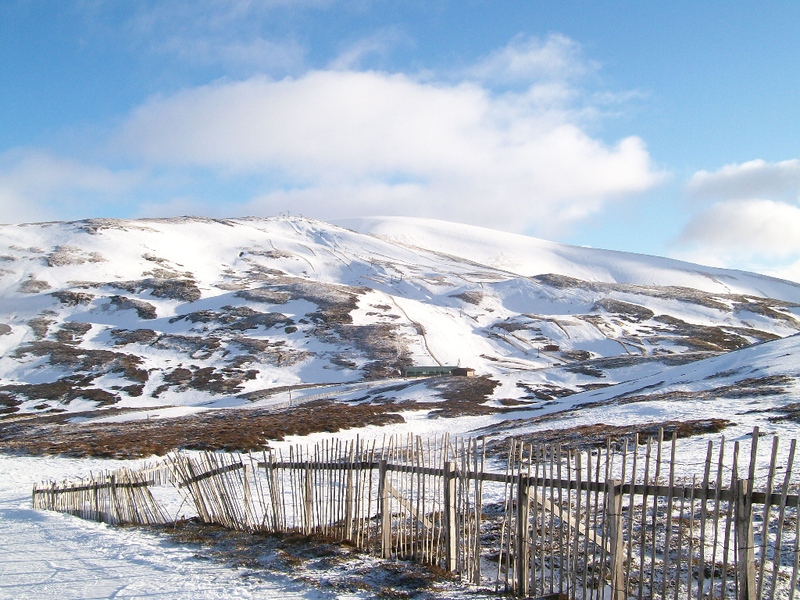 The eastern sector is somewhat larger and comprises Sunnyside, Meall Odhar (922m) and Glas Maol (1068m). Sunnyside (and the Cluny’s) is an excellent area for nervous skiers, with a many confidence building blues and greens on both sides. Meall Odhar and Glas Moal have some nice reds for the more advanced skier, those on Glas Moal being particularly good. When the snow is good it is possible to ski down below the level of the Glas Moal and Corrie Fionn pomas down to the A93, but you’ll have to get a lift back to the ski station base. 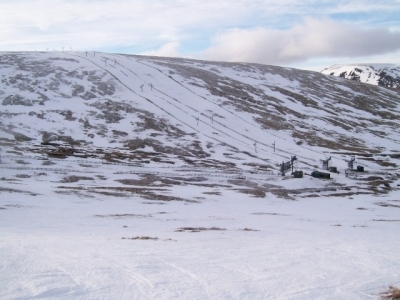 Sunnyside is probably one of the biggest weaknesses of the Glenshee ski area. 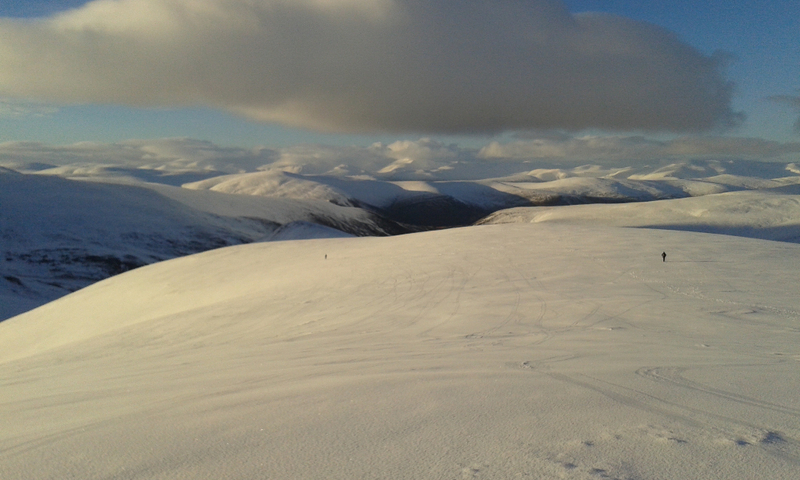 The Snow holding on Glas Moal and Meall Odhar is generally very good, but access to these areas is dependent on surface lifts across Sunnyside. 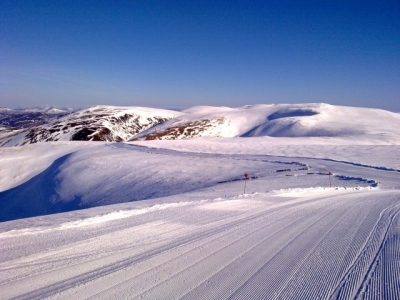 It is not uncommon for the entire sector to be closed because of insufficient snow on the Sunnyside runs and lift tracks, even though the snow beyond is good. 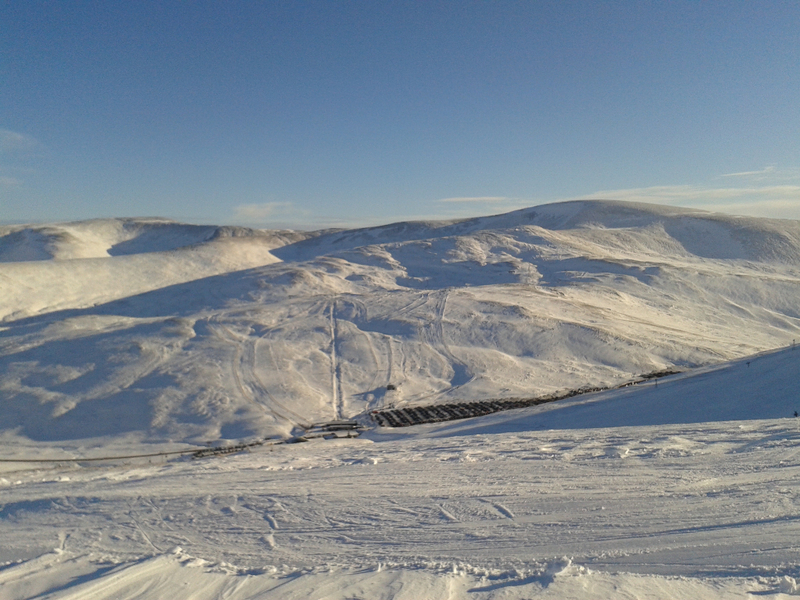 Glenshee also has 8 snow cannons which can be used to improve snow conditions on a few key runs when the weather is suitable. 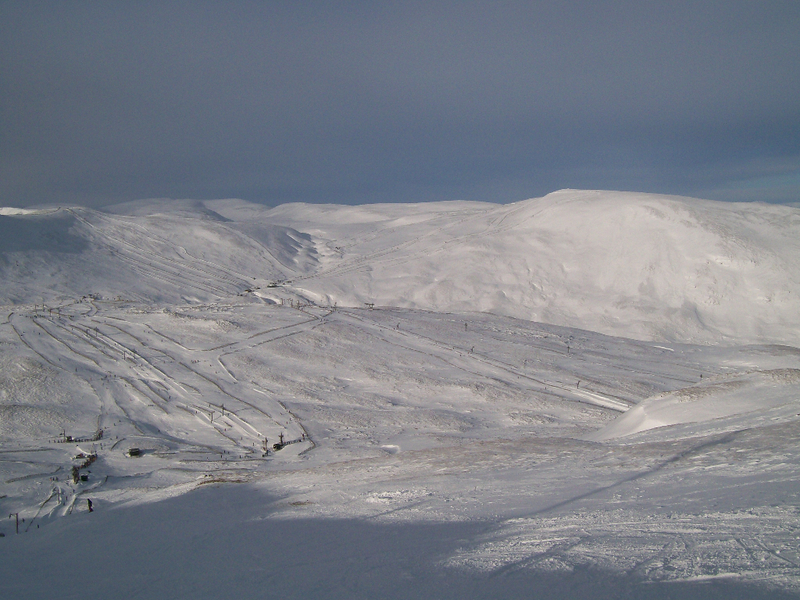 The snow cannons mostly cover the area around the Cairnwell cafe and the Claybookie poma. 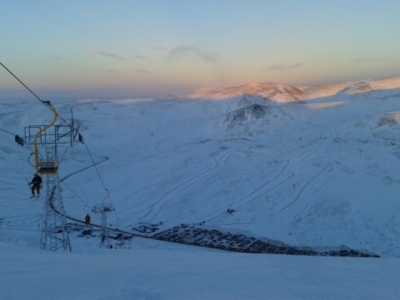 Glenshee has the largest and probably the most efficient lift system in Scotland. Many of the key lifts are duplicated, so there is extra capacity available in the lift system for busy periods. Do not be put of if the snow report shows up to half the lift system closed, the entire area can often still be accessed, so pay attention to which lifts are running and look at the piste map. 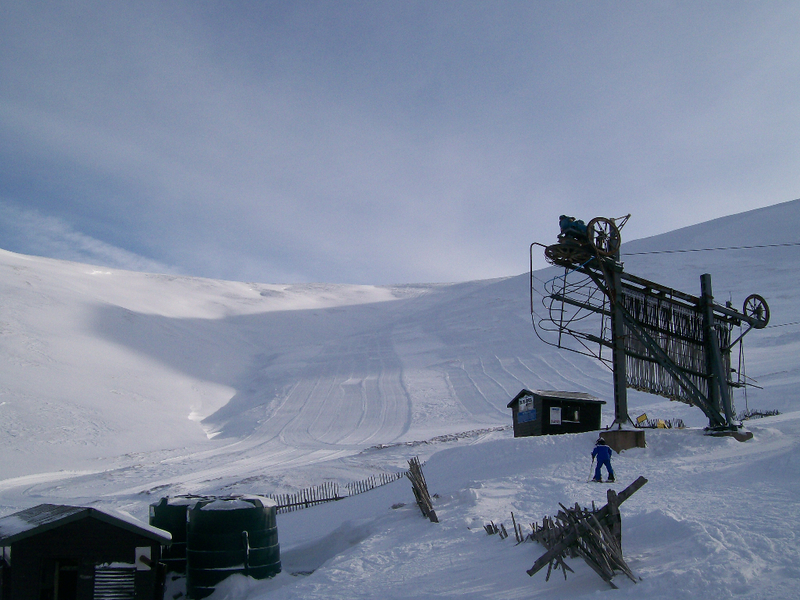 A few lifts have been either removed or mothballed in recent years, the current advertised total of 22 is down from the peak of 26 in the late 90’s. 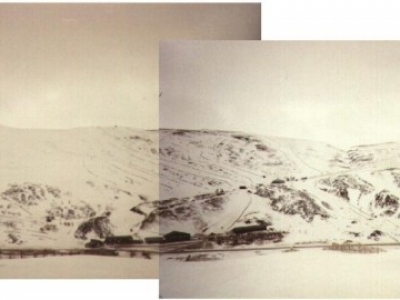 However, no significant terrain has been lost through the removal of these lifts, which were mostly duplicate capacity. The main lifts in the western sector are mixture, with a triple chair (installed autumn 2015 replacing a 1960’s vintage single chair) covering the full vertical and a number of T-bars and buttons in the rest of the bowl. With the exception of the Cairnwell chair, all the lifts and runs in this sector lead to or from the Cairnwell restaurant, which is situated on a rise above the base station. Access to the Cairnwell sector from car park level is best achieved via the Baddoch chairlift (commissioned in 2012) which runs directly from the ticket office to the Cairnwell restaurant. 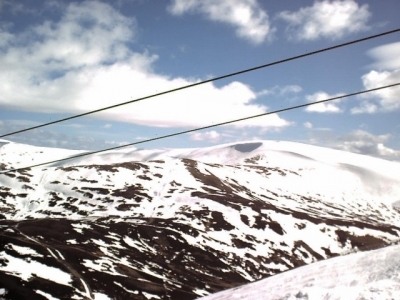 The Cairnwell chairlift runs from car park level to a point about 30m below the mountain summit and from here you can ski down to the other lifts, however, this is not recommended for nervous skiers. 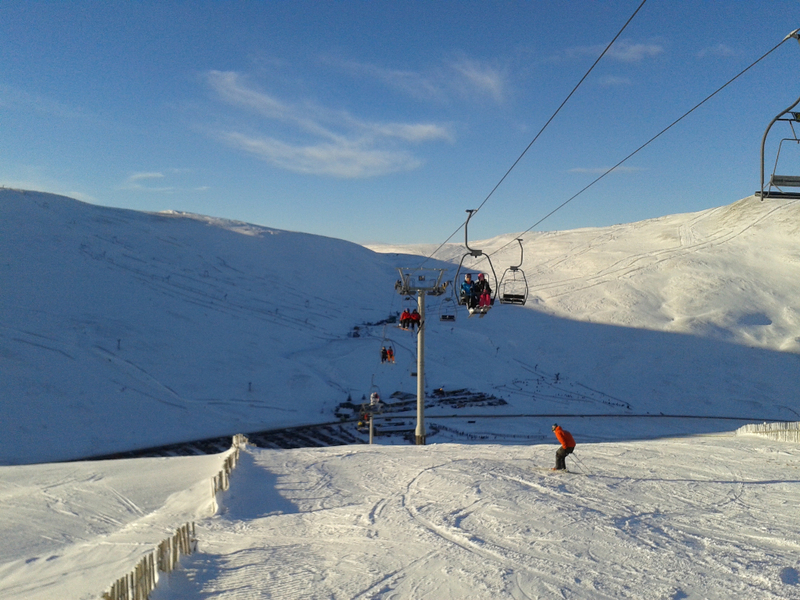 Most of the lifts in the eastern sector are fast Poma buttons, although there is a double chair on Sunnyside. 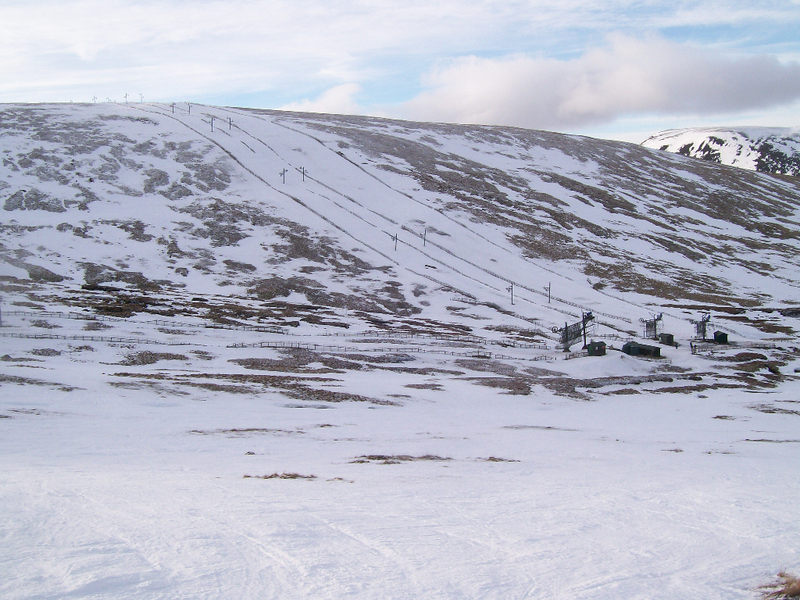 The Meall Odhar T-Bar is still shown on the piste map and snow report, but was dismantled during 2014. 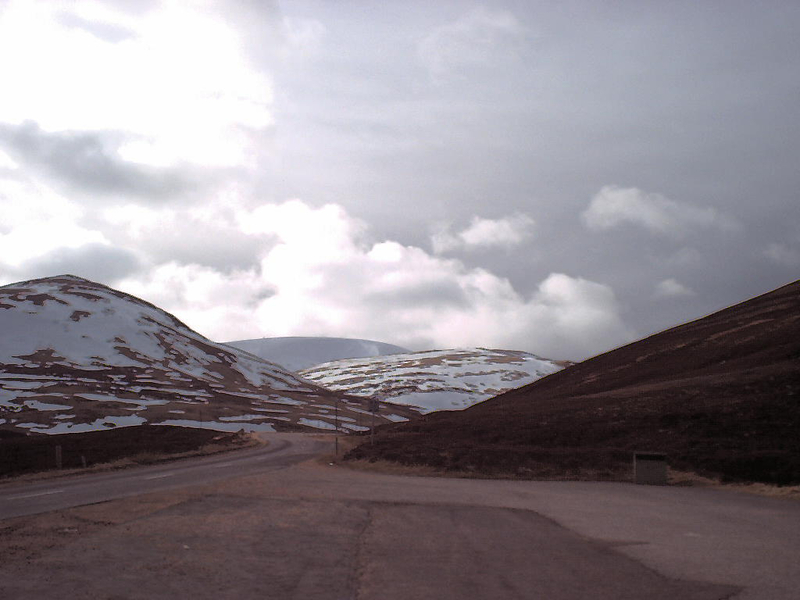 This section badly needs a chair lift to connect the top of Sunnyside to Meall Odhar, giving reliable access when the snow is poor (Glenshee received a grant in 2014 for lift improvement work and such a chair might form part of this work, but specific plans have not been announced yet) . 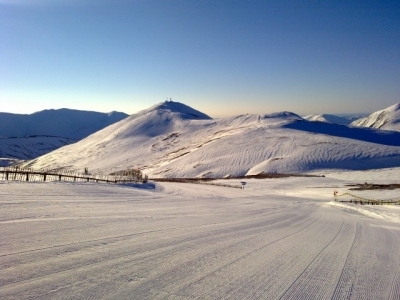 Many of the lifts in this sector are doubled up, with the notable exception of the farthest lift, the Glas Moal poma which can suffer from long queues on good days. 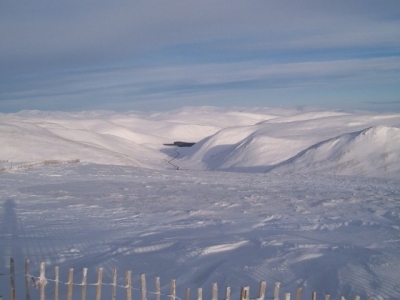 The Glenshee ski centre is located on the highest point of the A93 Perth – Braemar road. The road running south is quite steep and is more prone to blockage than the northern side when weather conditions are poor. It is not uncommon after a heavy snow fall for traffic to be queuing on the south side, waiting for the road to be cleared. The ski centre has the contract for ploughing the road during winter, so you can be certain that they will keep it open if at all possible. The closest accommodation to the ski centre is at Spittal of Glenshee, 6 miles to the south, however Spittal is very remote and has no proper shops. 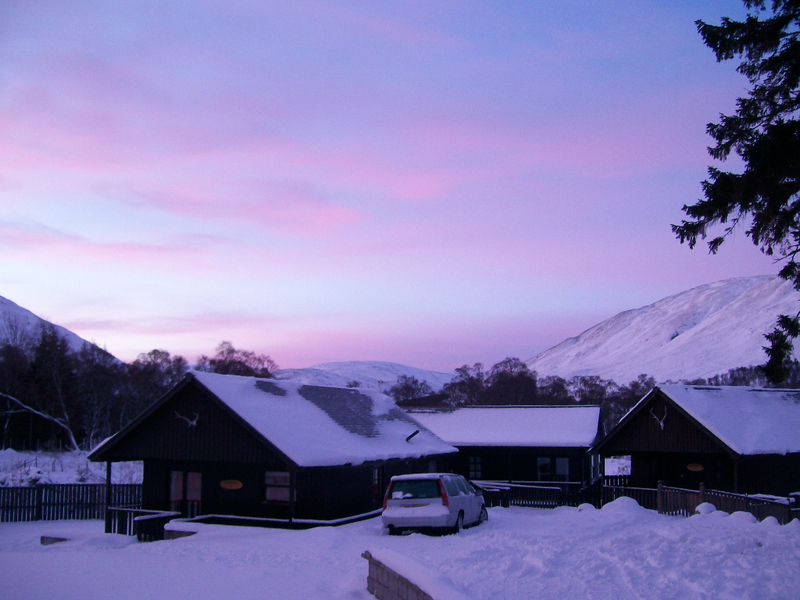 Braemar (8 miles north) makes for a more comfortable skiing base. 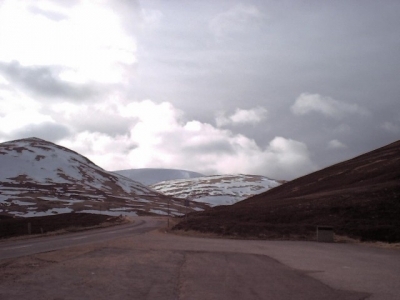 Braemar also has the advantage of being on the easier side of the pass.